Trendy choker necklace with a small MOON charm in the center. Necklace measures 12.25″ to 14″. 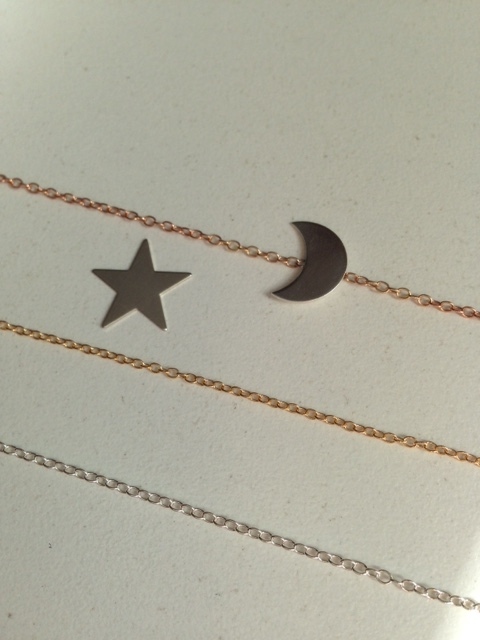 Please select either the Sterling Silver or MOON or STAR for the center. You can also choose between rose gold filled, gold filled, and sterling silver for the chain. See the drop-down menu to make your selection.